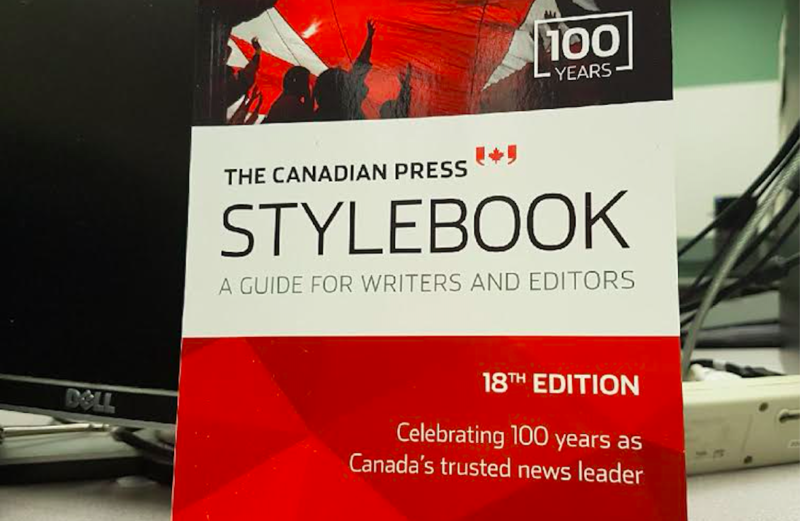 The 18th edition of The Canadian Press Stylebook. Photo courtesy Alexa Lawlor. In December, a slew of typos and factual errors were flagged in the revamped Indigenous Peoples section of the most recent edition of the national newswire’s deified style guide—a reference book often referred to as the journalist’s Bible. Since then, in talks with Canada’s national Inuit organization Inuit Tapiriit Kanatami, The Canadian Press has corrected the errors and worked to make in-text examples more representative of Inuit as well as First Nations and Métis groups. Stylebook editor James McCarten said screening similar content though venues that the news organization can trust will be a challenge moving forward. “We’re going to have to properly do quality control to make sure that it’s accurate, to make sure that it’s correct, to make sure that it’s reflective of those cultures. How we do that, I don’t yet know. We had a good experience with ITK,” McCarten said. The Inuit organization provided context and corrections for the guide, after the newswire expressed regret for the errors to ITK president Natan Obed, ITK spokesperson Erin Filliter said. “ITK also recommended that, for future volumes, CP take steps to reach out to other Indigenous organizations to ensure that all aspects of that section are accurate,” she said in a statement. The error-ridden books were printed in September 2017, but the mistakes weren’t noticed until the NGO Journalists for Human Rights released a separate style guide, Dec. 8, titled, Style Guide for Reporting on Indigenous People. A six-person panel of Indigenous reporters developed that guide, which gives detailed recommendations for language that should be used within Canadian media to report on First Nations, Métis, Inuit and Two Spirit people. That guide was originally crafted to inform changes on Indigenous terminology being made by The Canadian Press. That’s how errors on Inuit made in the JRH guide were reprinted, almost verbatim, in The Canadian Press Stylebook. Some of those errors include the misspelling and inconsistent spelling of the word Inuvialuit—an Inuit people of North-Western Canada—and, use of the word Inuvialuit to describe a place, when the word denotes a people. In the guides, the word “Nunavummiut” was mistakenly spelled as “Nunavimmiut”, which is actually a similar phrase used to describe people from Nunavik, an Inuit region in Northern Quebec. While the new guides were created to foster representative media coverage, they each inadvertently highlight a need for added care when working with diverse and traditionally oral dialects. The situation is also a reminder that the word “Indigenous” is a pretty sweeping term. 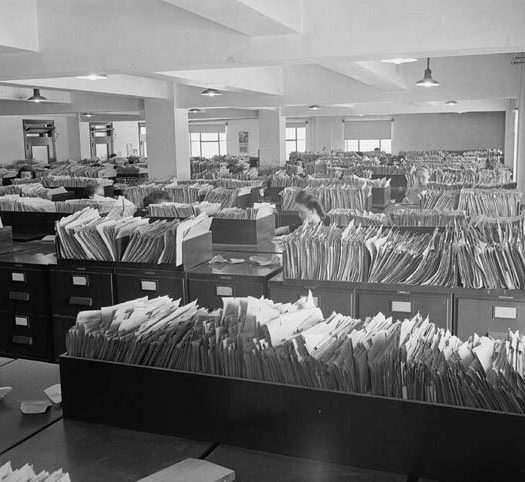 But somewhere in the development of both the 18th edition Stylebook and the JHR Indigenous reporting guide, that advice fell flat, when, only one Inuk journalist was sourced by The Canadian Press to act as a language authority on nuanced terms used in regions that span across the whole top half of the nation. “One of the reasons we ran into the problems we did is because there weren’t that many (people) on the panel—even on this panel of Indigenous journalists—who had intimate knowledge of the material,” McCarten said. McCarten did stress that the Canadian Press would consider following a similar model in future, albeit, with more oversight. “The concept of what we were trying to do there is sound—involving Indigenous journalists in the process,” he said. As a whole, the new Indigenous Peoples section in The Canadian Press Stylebook is a substantial improvement compared with recommended language found in previous editions of the reference book. Errors in the Journalist For Human Rights Guide have yet to be updated. Carpenter said he is looking to set up necessary consultations before making any quick fixes to the guide. “It’s been a challenge. It’s still on my radar and I want to get it fixed, it’s just finding the right people to assist with it,” he said, adding that consensus can be hard to reach when it comes to identity language. “In the guide itself, in the other sections, there were some differing views,” he said. Errors aside, Carpenter said he and his colleagues continue to see misrepresentation of Indigenous groups in Canadian news coverage. Still, McCarten said The Canadian Press doesn’t get many requests for specific terms like those that are now available in the updated Stylebook. But there are questions he does get and expects to receive more of. A PDF corrections page for the Indigenous Peoples section of 18th edition Stylebook is available online.